Ric Rac Girl is a fast and fun 52" x 62" scalloped border quilt designed by Jennifer Bosworth for Shabby Fabrics. 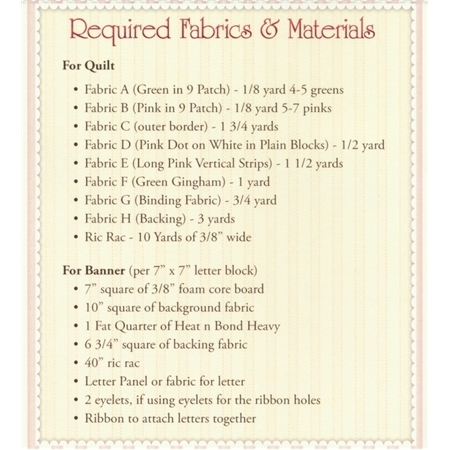 The pattern also includes instructions to make the banner. A full alphabet is included so you can personalize the banner with your child's name. The banner is NO SEW (unless you choose to make your own ribbon that connects the letters).